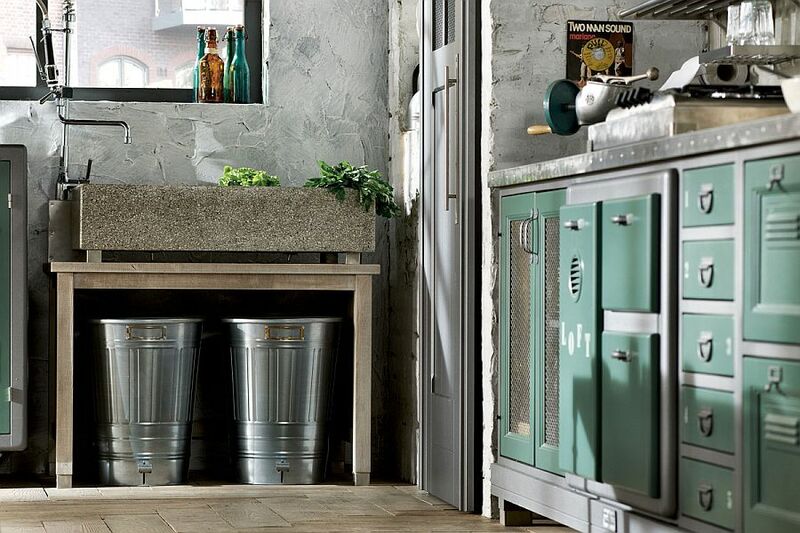 Call it a love for simpler times or a fascination for design that veers away from the modern and the mundane, but the last few years have seen an increase in decor trends that borrow from the vintage, retro and midcentury. The stunning Loft Kitchen from Marchi Group seems to perfectly capture this trend while giving the space the added advantage of modern ergonomics and brilliant functionality! 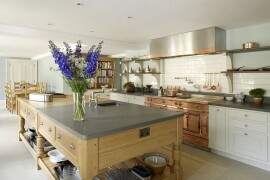 This glorious custom-crafted kitchen comes with hand-crafted details, metallic surfaces and hoods that steal the show, and wooden cabinets draped in lovely pastel hues. 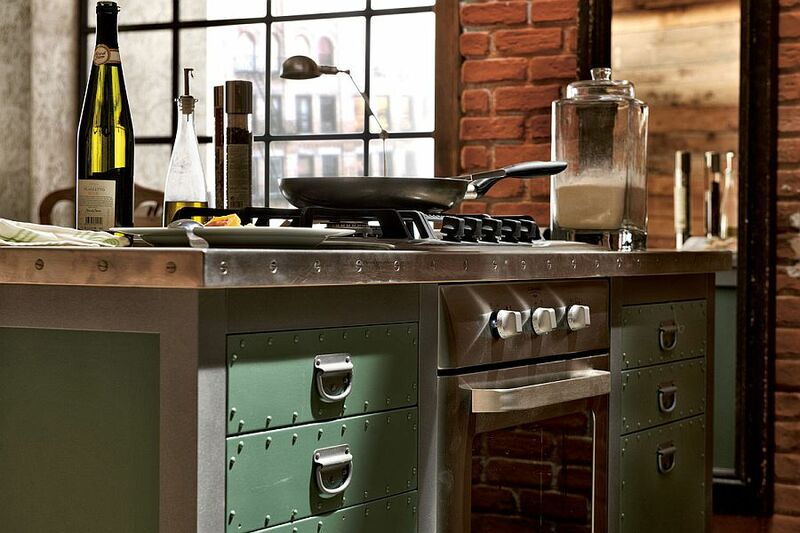 These varied elements come together ever so beautifully to shape an evocative and exquisite kitchen. 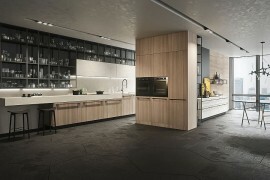 The unique design of Loft gives you plenty of space to express your own personality, as the American walnut panels, solid wood drawers and countertops can be altered to deliver a color scheme of your choice. 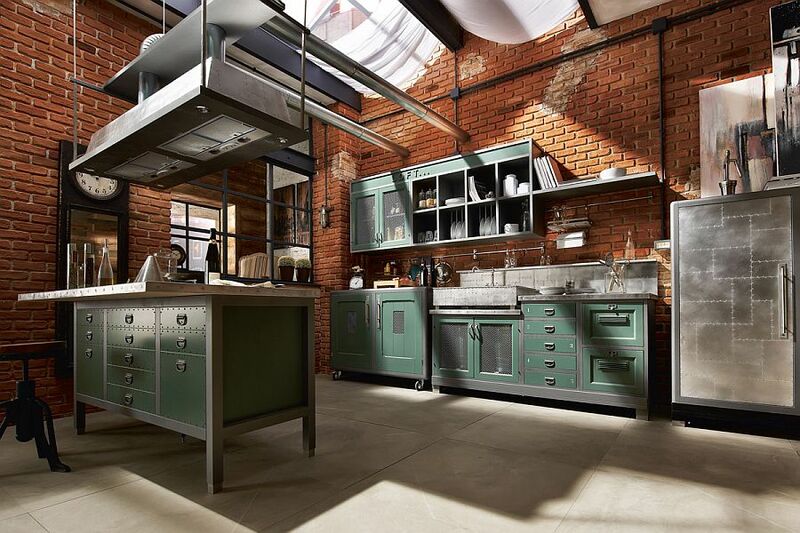 While the pastel jade green composition on display here seems truly transcendent, those who prefer bolder colors or countertops in marble or even cement can pull off a similar look as well. 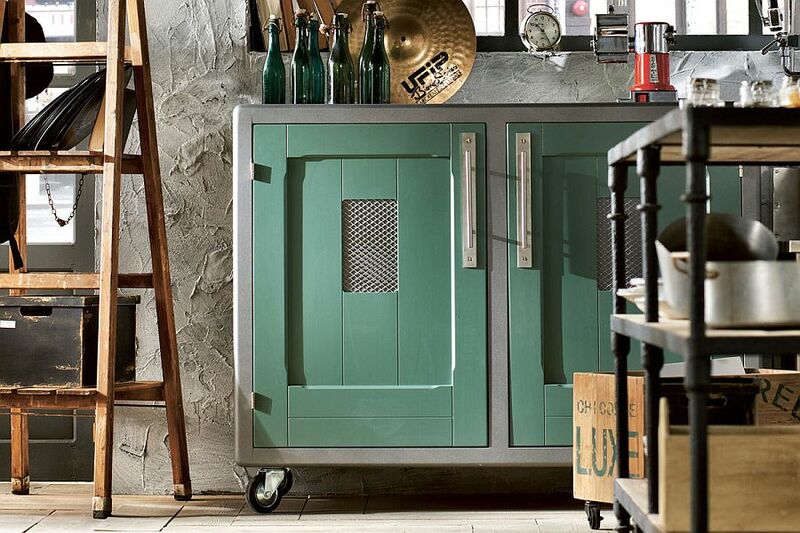 Rectangular wooden wall units, standalone cabinets on casters and a kitchen island that offers plenty of storage space ensure that you can always find room for your kitchenware in here. 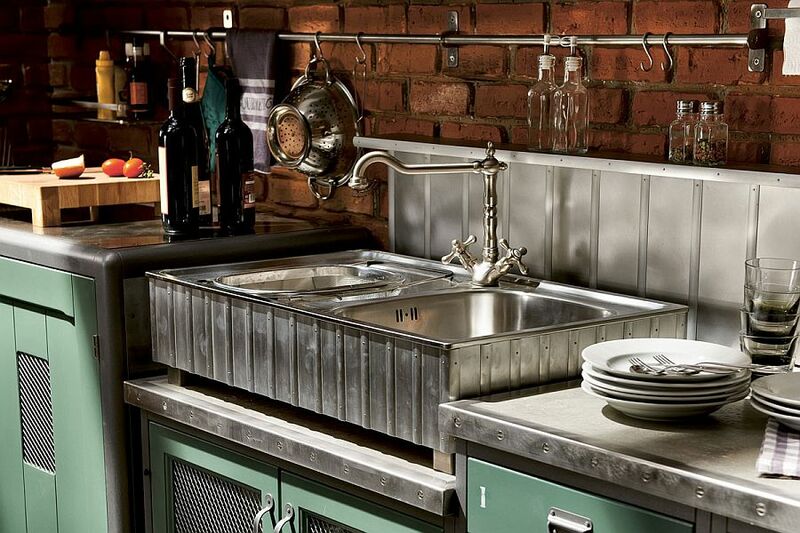 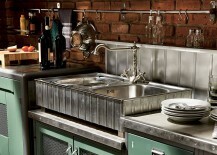 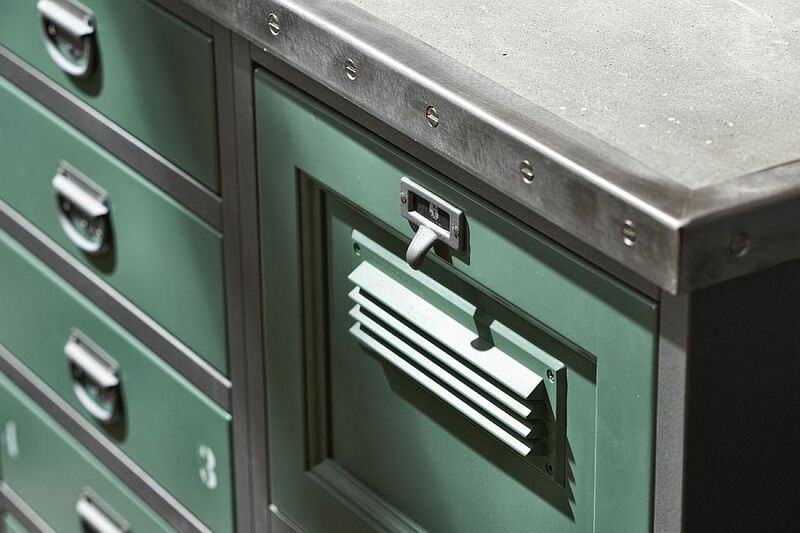 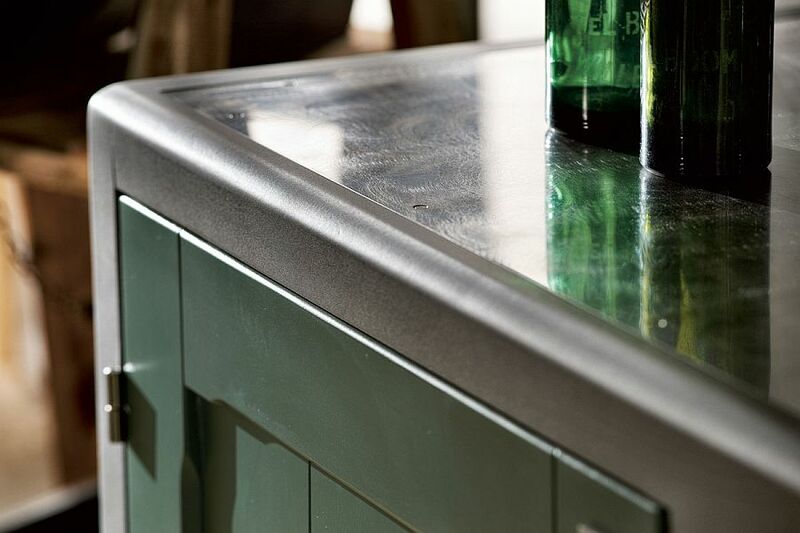 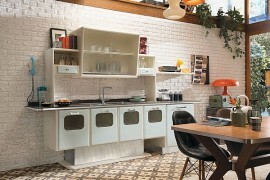 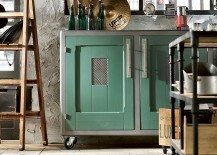 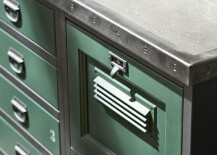 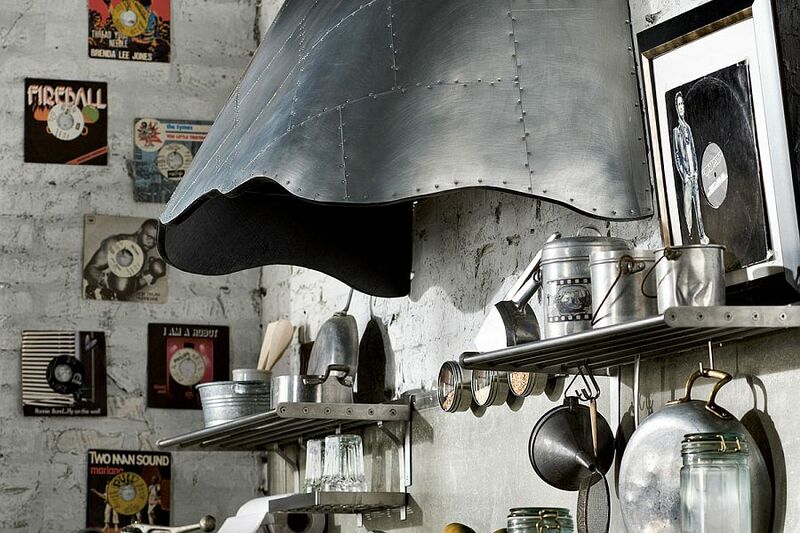 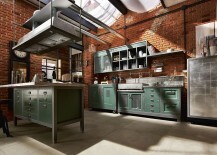 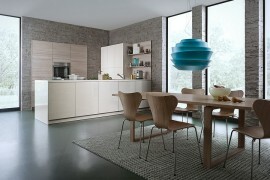 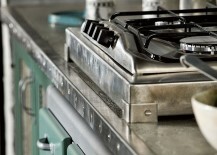 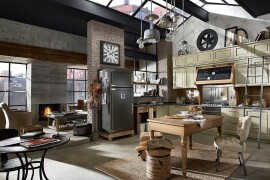 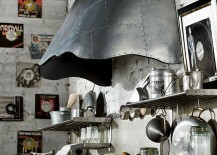 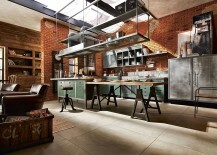 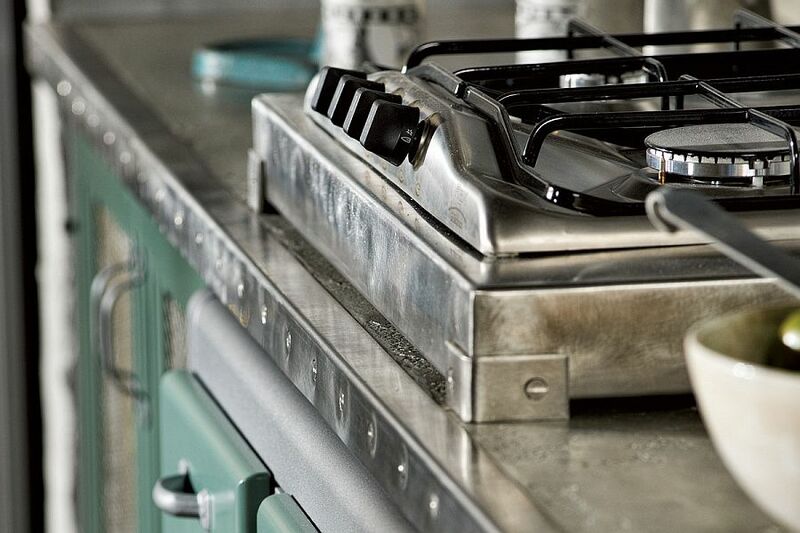 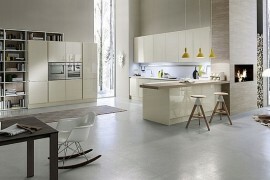 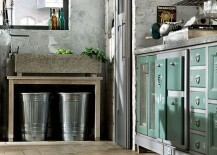 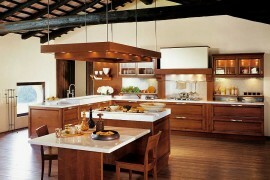 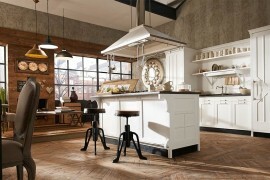 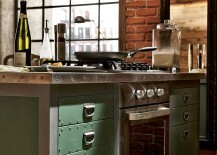 Metal plays a pivotal role in shaping the aesthetics of Loft Kitchen and also cuts down on long-term maintenance needs. 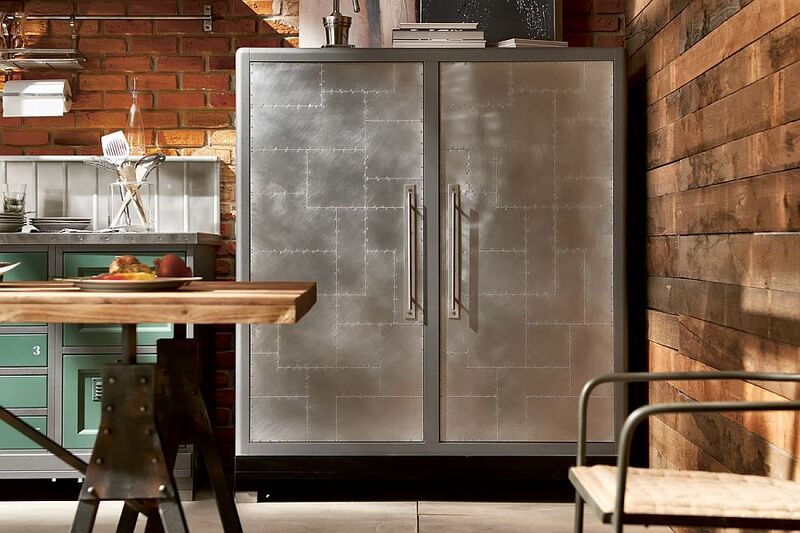 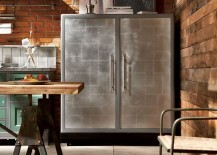 The two-door refrigerator in an all-steel version seems to complement these metallic surfaces perfectly, while a steel sink and backsplash complete the look. 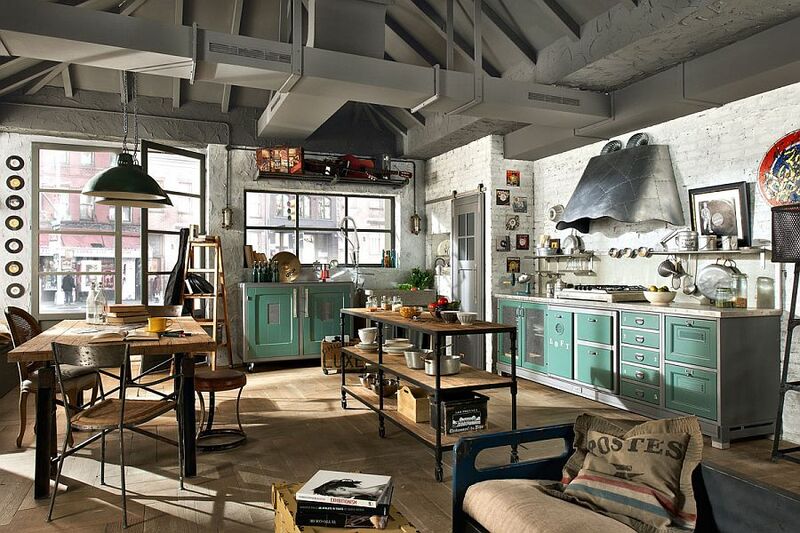 Edgy, industrial, timeless and traditional, the captivating Loft kitchen brings together several different worlds with plenty of personality!